Cape Town - Welsh outfit Scarlets have signed scrumhalf Herschel Jantjies on a short-term loan for Saturday's PRO14 clash against Cheetahs in Bloemfontein. According to the Scarlet's website, Jonathan Evans has suffered an ankle injury that is likely to keep him out for action up to six weeks leaving the Scarlets short of scrumhalf cover for the second of two games in South Africa. Scarlets had to call on the expertise of former Scarlet Mike Phillips to cover the scrumhalf berth following an injury to Declan Smith, Aled Thomas and Gareth Davies in Wales camp. 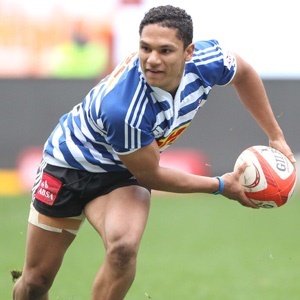 Stormers halfback Jantjies will be available for selection in their clash against the Cheetahs. Scarlet's head coach Wayne Pivac said, "We've had to be creative and think outside the box with our halfbacks on this tour!" Scarlets are currently on top of the Conference B standings on 39 points. Kick-off on Saturday in Bloemfontein is at 19:35.